Añejo de Barros / There are 3 products. 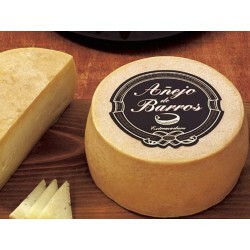 Elegant and distinguished Añejo de Barros made from raw sheep's milk using wholly artisanal methods. Cheese remains drier at controlled temperature and humidity for three months. Then vacuum packed with extra virgin olive oil, remaining a minimum of seven months in cellar environment in which the aging process continues. It comes in formats of 440 grams, 840 grams and 1500 grams.